Students walk through NKU's campus to celebrate Pride Week. NKU’s sixth Annual Pride March officially kicked off Pride Week this Monday. Attendees took a windy, brisk walk around campus as they advocated for LGBTQ+ rights. 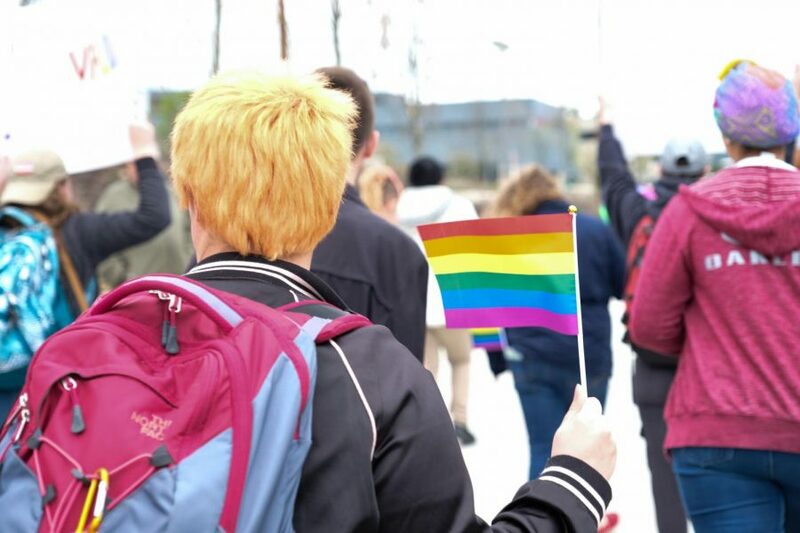 Organized by LGBTQ Programs and Services from the Center for Student Inclusiveness, the march started at 11:50 a.m. in the Student Union Plaza and circled around campus back to the SU, where attendees were asked to stay around for a celebration and dessert reception. Students wore Pride attire, carried LGBTQ+ flags, held up handmade posters they made on Friday in the CSI lounge and chanted for rights for the LGBTQ+ community. Faculty and staff marched alongside students during the entirety of the march with some joining along the way. As the gaggle of marchers made their way back to the Student Union, they gathered in the SU Ballroom to hear from LGBTQ Programs and Services director Bonnie Meyer and student ambassadors to Pride Week. Following the ambassadors’ celebrations of Pride, attendees were asked to stay after to hang out and eat desserts. 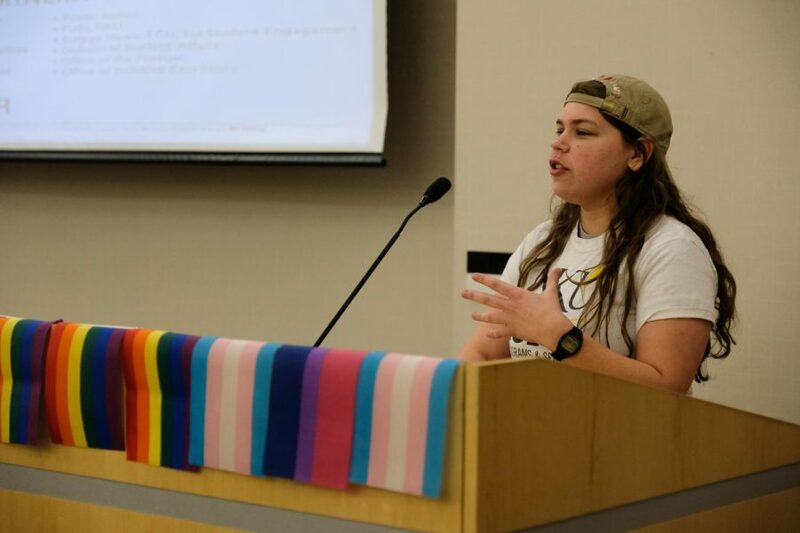 Isabel Sleczkowski speaks at NKU's Pride March.